Roxy hates baths and grooming in general. Which is part of the reason we take her to an actual groomer every 5 weeks or so instead of trying to do it ourselves. She is a major wiggle worm and mover, getting her to stay put for even 5 seconds sometimes is a feat in itself sometimes. Sometimes though in between her grooming appointments, we need to bathe her cause she gets into the stink or is feeling extra itchy. Sometimes she comes in from outside in our yard stinking to high heaven. She finds something delightful outside and decides it would be fun to roll herself in it. Oh my god, I gag when she cames in from such an adventure. I don’t know exactly what she finds, but she sure loves it. 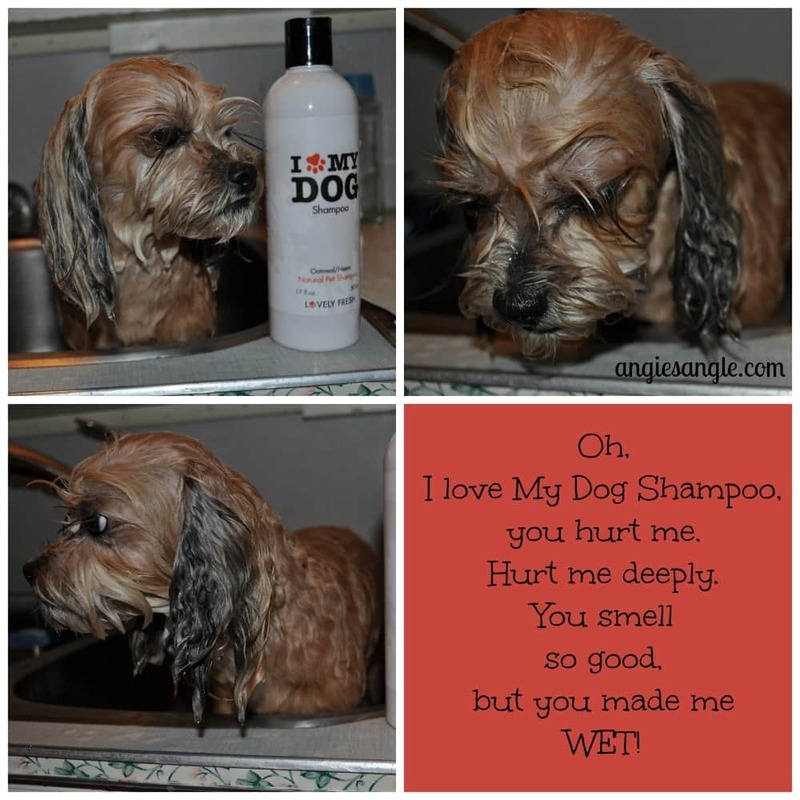 I was thrilled to test out the I Love My Dog Shampoo. Roxy wasn’t so thrilled. She asked, “Why oh why Mom does it have to be shampoo? That means I have to get wet”. She does, however, love getting packages in the mail that she knows are hers. We both loved the way it smelled. We opened it right when we received it in the mail and both said yum! 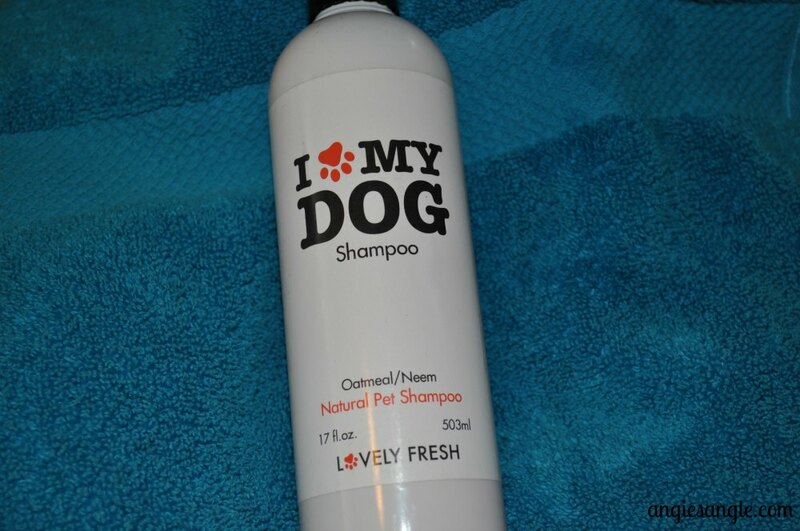 I Love My Dog Shampoo is made right here in the USA. It contains natural ingredients of oatmeal and neem that soothe, moisturize and sanitizes the skin while soothing irritation associated with insect bites. Neem oil is a natural insect repellent, so they’ll bother your fur baby less after using this product. 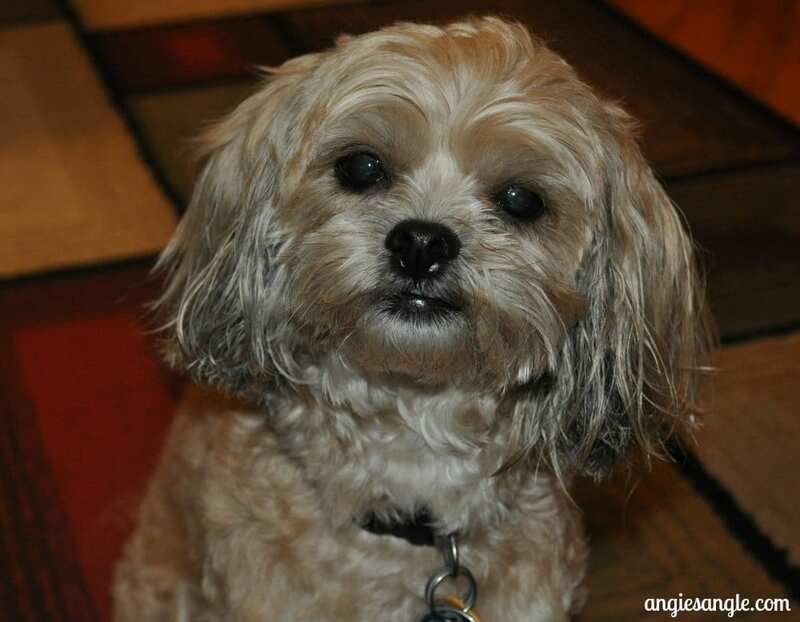 It also helps nourish the dog’s coat so it will be thicker, shinier, and just overall healthier looking. Soap, detergent, and alcohol free. The bottle itself is fully recyclable. The only weird thing I found with this shampoo is that it tells you to put the product on a dry coat and then add in water after applying to the whole body. It made for a weird texture while rubbing onto Roxy. It does state to apply a second time after rinsing out the first application for best results. Which we did. I was left with a happy cleaned dog, that was super soft with a shiny coat. Mommy and Daddy just kept smelling her after she was dry. Overall, we really liked this shampoo. We will be buying it again in the future and as you should go check it out and buy yourself your dog a bottle. I think you’ll really like the results, as we did.